Hello and welcome to my chimney sweeps Gallery i hope you enjoy. 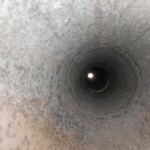 Please note all of the chimney sweeps photographs belong to Oak Tree Chimney Sweeping and are only published with the consent of our customers. 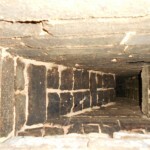 It should be a chimney sweeps pleasure to witness a clean and clear chimney. As you can see we always take great pride in our work whatever it is. I am a strong believer in doing things the right way, especially when working on something as potentially hazardous as solid fuel. We don’t claim to be perfect, but we are always striving for perfection in all we do. 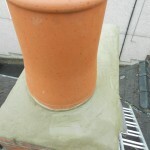 Chimney Sweeps or chimney services such as fitting pots cowls and re-pointing chimney stacks. 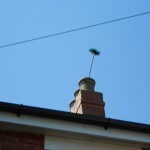 CHIMNEY SWEEPS GALLERY. 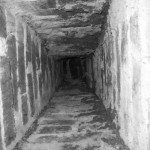 Many more sweeping photos to follow shortly. 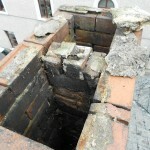 Here is a selection of photos taken by myself whilst sweeping chimneys across Hereford and Leominster. 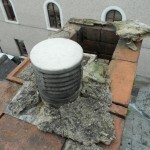 As you can see the flues of the chimneys are beautifully clean and clear. These standards are upheld at all times. Being part of the guild of master chimney sweeps, and a dedicated member, i take great joy in upholding the standards of sweeping at all times. We Guild of master sweeps all have a great reputation for a reason. 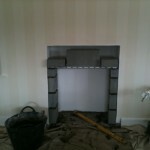 All of my chimney sweeps are carried out with the greatest attention to detail avoiding mistakes within the work itself. I am always working to keep your home spotless. Every home is treated with respect at all times. Due to these important factors along with a sweeping certificate, we are fast becoming a very popular outfit in Hereford , Leominster , and all surrounding areas. 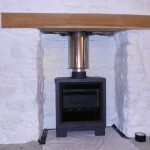 As with anything to do with solid fuel great care should always be taken. 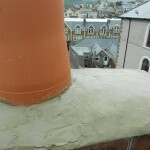 For this reason you should always use the professionals. Your safety and your home is our priority. 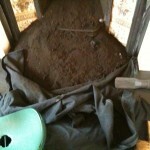 Be next to have Oak Tree Chimney Sweeping visit your Home. CALL 07972-742157 Today and make your home a safer place.